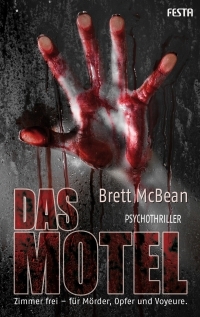 I’m pleased to announce that the German edition of my first novel, The Last Motel, has just been released, by Festa Verlag. I hope all of my German readers enjoy this novel. This entry was posted on April 14, 2012 by brettmcbean. It was filed under Writing . – i´m really smashed and enthusiastic after reading ! This is now one of my favorite Horror-Novels EVER !! I´m deeply grateful to Brett McBean for writing this and Frank Festa for bringing this to Germany , THX !!! I’m thrilled you liked Das Motel so much! Thanks for your kind words about the novel.